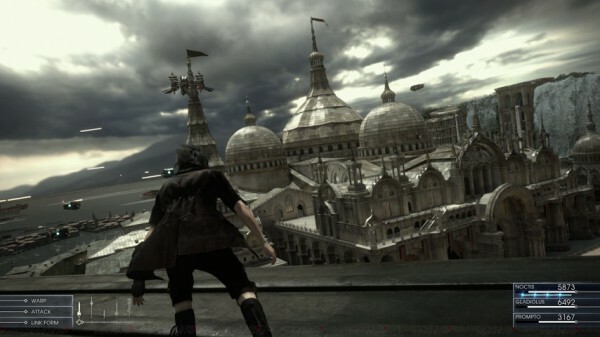 During the live Active Time Report for Final Fantasy 15 at gamescom this week, director Hajime Tabata said the team was looking into the possibility of adding airships. In a recent interview, he revealed his team is working with Avalanche Studios to make it happen. Speaking in an interview with Famitsu translated by Siliconera, Tabata said he wants to implement airships which can fly around the game at “full-scale,” reiterating if the feature can’t be developed in time for launch, he’s liked to see it released as downloadable content. Tabata said talks with Avalanche on the technical collaboration started at GDC 2015. The Just Cause developer was chosen due to the unique and “seamless” aerial controls present in the action franchise. “We don’t have any know-how when it comes to that, so during this year’s GDC we spoke with them, and they also showed some interest in the technology behind Final Fantasy 15, so the talks continued from there,” he said. During gamescom, Tabata confirmed Final Fantasy 15 wouldn’t be released this year, but that it would be released before 2017.